Phylogenetic analyses frequently rely on models of sequence evolution that detail nucleotide substitution rates, nucleotide frequencies, and site-to-site rate heterogeneity. These models can influence hypothesis testing and can affect the accuracy of phylogenetic inferences. Maximum likelihood methods of simultaneously constructing phylogenetic tree topologies and estimating model parameters are computationally intensive, and are not feasible for sample sizes of 25 or greater using personal computers. Techniques that initially construct a tree topology and then use this non-maximized topology to estimate ML substitution rates, however, can quickly arrive at a model of sequence evolution. The accuracy of this two-step estimation technique was tested using simulated data sets with known model parameters. The results showed that for a star-like topology, as is often seen in human immunodeficiency virus type 1 (HIV-1) subtype B sequences, a random starting topology could produce nucleotide substitution rates that were not statistically different than the true rates. Samples were isolated from 100 HIV-1 subtype B infected individuals from the United States and a 620 nt region of the env gene was sequenced for each sample. The sequence data were used to obtain a substitution model of sequence evolution specific for HIV-1 subtype B env by estimating nucleotide substitution rates and the site-to-site heterogeneity in 100 individuals from the United States. 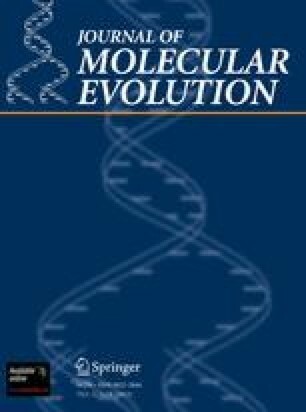 The method of estimating the model should provide users of large data sets with a way to quickly compute a model of sequence evolution, while the nucleotide substitution model we identified should prove useful in the phylogenetic analysis of HIV-1 subtype B env sequences.